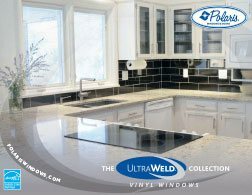 Our Ultimate Window and Door system. 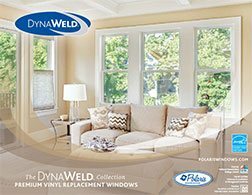 They combine maximum thermal efficiency with beautiful looks and a host of options for replacement windows, patio and entry doors. The American traditional window designed by Polaris. 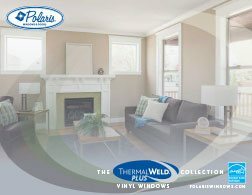 Tough Polaris extrusions and welded corners provide strength, while insulated glass provides comfort and energy savings. 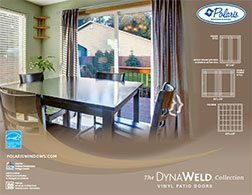 Our most economical vinyl replacement window, patio doors, and entry doors. Insulated glass provides energy savings at an affordable price with a stylish appearance. Double hung sash tilt in for easy cleaning with Recessed Tilt Latches. Glider sash can be removed from inside for safe cleaning. Water rushes off True Sloped Sill - no water enters extrusions and no unsightly weep holes to clog. LIFETIME warranty on frame and sash. Our maintenance-free vinyl formulation continuously maintains its color as well as its smooth surface. 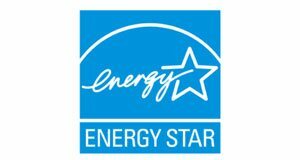 Energy efficient vinyl is not a thermal conductor. 30 year warranty on glass package. 10 years more than most competitors. Recessed tilt latches allow both sash to tilt inside for easy cleaning. Sloped one piece sill for positive water drain-off. No water leaks. 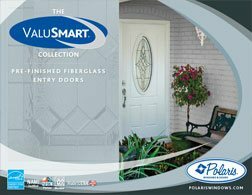 Fusion welding at door panel corners transforms for vinyl extrusions into a strong, one-piece door. Sloped, aluminum-reinforced sill guides rainwater outside and away. Smooth gliding, solid steel zinc-plated tandem rollers, with an Iridium coating on exposed parts to protect against corrosion. 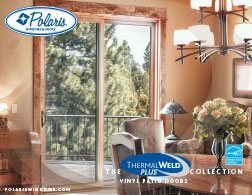 Polaris extrusions are ULTRA-WELDED at every corner to create strong and seamless windows and doors. Low-E fim fixed between glass panes reduces ultra-violet light damage and heat gain. Argon filling in both air spaces resists temperature. Polaris® extruded aluminum screen frames are stronger than roll formed frames. Fusion welded frame and sash corners are strong and seamless. Left or right operable reversible door panel. Products put through rigorous testing by R&D, who ensures quality. 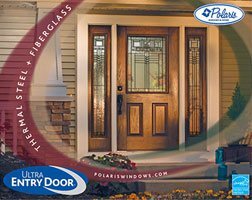 Polaris® decorative glass lites are hand assembled by craftsmen. Wavy textures, tiny bubbles and other natural effects of art glass all reflect light differently. The metal framework is filled with moving light. The result is a unique, quality work of art. 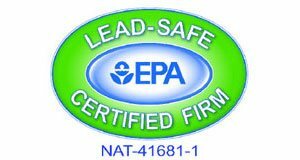 2.5" R-13 polyurethane foam core meets environmental guidelines and offers maxiumum thermal protection. Internal Tilt Mini Blinds are child and pet safe and allergen free. 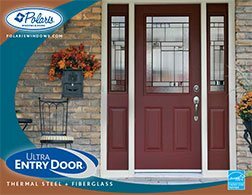 Click here to view the entire 27 page Polaris Ultra Entry Door catalog. 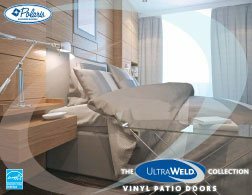 Our pre-finished doors are paintable and protected by UV resistant topcoats. Dura-Tech™ rot resistant Alaskan Yellow Cypress offers strength and rigidity of wood with low maintenance attributes of PVC components. All doors have steel reinforcement plates for additional security. 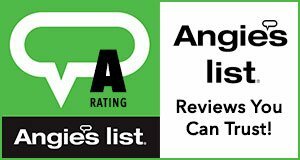 Serving Marion county and surrounding counties including cities Indianapolis and Carmel, Noblesville, Fishers, Cicero, Westfield, Brownsburg, Avon, Plainfield, Mooresville, Greenwood, Fortville, Franklin, Greenfield, Speedway, Beech Grove, Jamestown, Westfield, Zionsville, Brownsburg and more! Copyright 2019, Off Duty Construction All Rights Reserved. Website created by Something Web Design.